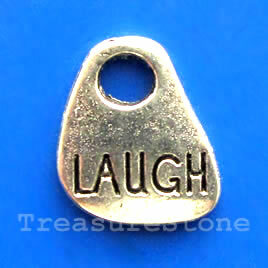 Pendant/charm, silver-finished, 12x23mm Friends. Pkg of 5. 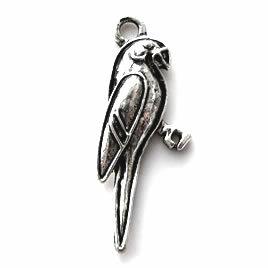 Pendant/charm, silver-finished, 12x30mm parrot. Pkg of 8. 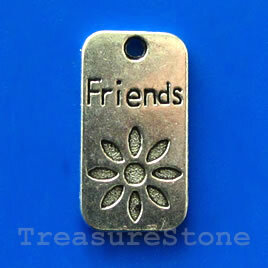 Products sold by TreasureStone Beads are intended for experienced jewelry-makers and designer-artists; children 16 years of age or younger should use these products with adult direction. To make sure you receive our products on time, please give us clear and detailed shipping information, including postal code and phone number. No exchange of items which are $25 or more each or per strand. For other items, if you are not happy with purchased products, please notify us and return the goods within one week of receiving the products. We will notify you the return address. All returned products must be sent in its original container/bag, and in a completely unaltered state. After we receive returned products, we'll arrange exchange as soon as possible. We are not responsible for postage on returned items.